The built-in photo tray lets you print 4x6-inch photos in brilliant color without changing paper. Print remotely without worries the auto-deploying output tray keeps your pages from landing on the floor. Print photo projects, or scan and copy documents, using the 2.2-inch graphics touchscreen display. 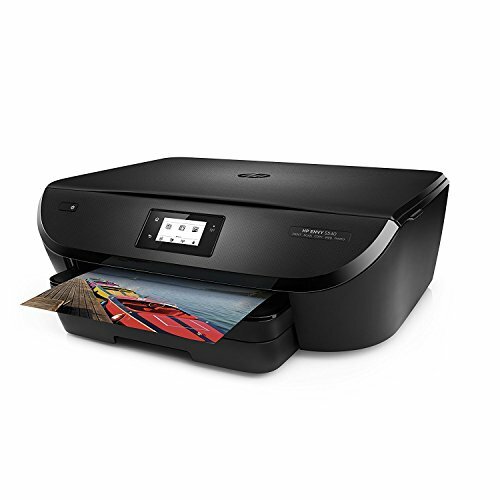 Easily print at up to 12 pages per minute (ppm) for black-and-white and 8 ppm for color. Save paper and conserve resources consume up to 50% less paper with easy automatic two-sided printing. NOTE: Professionally Refurbished Item with 90-day warranty. The built-in photo tray lets you print 4x6-inch photos in brilliant color without changing paper.Paper sizes supported: Letter, 4 x 6 in, 5 x 7 in, 8 x 10 in, No. 10 envelopes.